Will your child only wear shorts, no matter what the temperature is outside? Or only eat foods that are at certain temperatures? This may be a sign of Sensory Processing Disorder or SPD (formerly known as sensory integration dysfunction). Sensory Processing Disorder is a condition where sensory signals don’t get organized into the appropriate response. Children and adults with autism frequently suffer from sensory processing whether it is lights, sounds or tastes; temperature regulation may also be an aspect. The exact cause of Sensory Processing Disorder is not fully understood but many body functions are regulated by neural feedback mechanisms in the hypothalamus. The hypothalamus controls things like body temperature, thirst, hunger and releases many hormones. Researchers have noted a diminished grey matter in the region of the hypothalamus in subjects with autism and the sub-region of the hypothalamus that is altered in the group with autism is also responsible for synthesizing oxytocin and vasopressin. 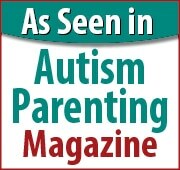 Studies have found lower levels of oxytocin in individuals with autism. Oxytocin is believed to enhance social skills, such as trust and empathy, which may be deficient in autism. The hot summer months may be difficult for a child with Sensory Processing Disorder and he/she may not always choose the best clothing to deal with the heat. Some children will only wear long pants while others hate wearing clothing at all. There are several companies that offer sensory friendly clothing and for the child who will only wear long sleeves and pants, go for natural, breathable fabrics. It is also important to monitor children with Sensory Processing Disorder to ensure they drink enough liquids. They may not respond to thirst as quickly as a child without the disorder. Track their fluid intake to ward off heat stroke or exhaustion. Also, keep track of the time they spend outside under the sun. Instituting regular shade breaks or taking some time inside can help keep them cool during the worst of the summer heat. Sensory Integration therapy is another tool to help those with Sensory Processing Disorder. The theory behind Sensory Integration therapy is that specific movement activities such as resistive body work and even brushing of the skin can help a child with sensory problems experience an optimal level of arousal and regulation. This, according to some OTs, can actually “rewire” the brain so that children can appropriately integrate and respond to sensory input, allowing them to understand the stimulus and feel more comfortable. Being sensitive to those with Sensory Processing Disorder is most helpful as sensory processing issues can put them in a constant state of discomfort. They may be unable to sweat to cool themselves down or may sweat too much for the ambient temperature. It is important to keep in mind that a person with Sensory Processing Disorder does not feel temperature the same way that you do and their discomfort may lead to a sensory overload, shutdown or meltdown.